Kripy Kreme is taking a new spin on their themed dessert. 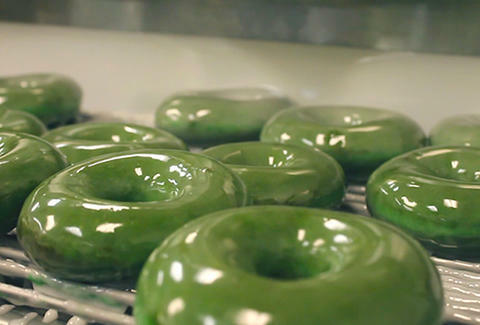 No need for fancy fillings or sprinkles, this year they’ll be selling their original glazed donut in the color green. 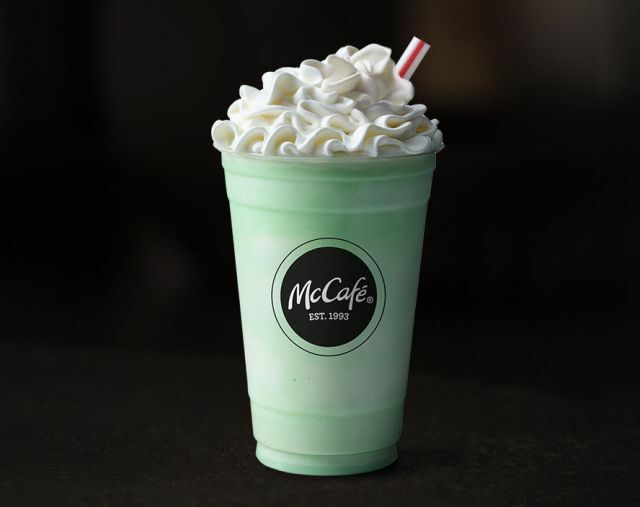 At Baskin Robbins from 3-7pm there will be free samples of their Mint Chip n’ Oreo Cookies Milkshake. Dairy Queen is bringing back their Mint Oreo Blizzard, a vanilla soft serve blended with Oreo cookie pieces and minty creme. The sweetest deal has to be at Dunkin Donuts. They’ll be selling a limited edition Mint Brownie Donut filled with mint brownie batter-flavored butter creme. It’s finished off with green icing and brownie crumbs. Would I eat these? Yes! My sweet tooth is excited and I've moved my schedule around to get one of these ASAP. You can make your friends green with envy when you show off your holiday-themed sweet treats. All these desserts are available at certain locations through March 17.